When an employee is injured on the job, most of the time they will file for workers’ compensation, as they are generally entitled to do. However, there are some claims where liability would be more properly alleged against a third party – someone on the premises, or someone off the premises who might still be subject to the relevant laws. If you have been injured on the job, do not automatically think that liability lies with your employer – it may be that you should file what is called a third party claim, or in some cases, you may wish to seek both remedies simultaneously. Generally, an employee who is injured within the “course and scope of employment” is eligible to receive workers’ compensation coverage. In other words, an employee has to be engaged in work that is in line with the duties of their job, or in work that furthers some interest of their employer’s, in order to call their accident a work-related injury. While most injuries to employees occur in the workplace, some will occur off the premises, or while an employee is on a break, and in many cases, these injuries will still be compensable. The crux of the issue when there is a potential third party claim is that as long as the worker was engaged in work that furthers their employer’s interest, it is still a job-related injury even if it was caused by another person. The most common example is when a delivery driver is making a delivery, and is involved in an auto accident with another car, and is injured. The fault belongs to the driver who struck the deliveryman, but the injury still counts as being ‘on the job’ because the driver was performing his job duties. An important caveat regarding third party claims for workplace injuries is that under Florida law, a lien is immediately created against any compensation an injured person gets from a third party if they have also been approved for workers’ compensation. The rationale is that since usually, workers’ compensation claims are processed faster than third-party lawsuits, the insurer wants to be repaid for the money they may have had to shell out to cover medical expenses. 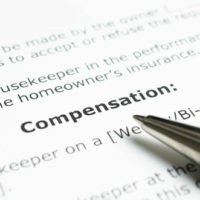 Thus, if or when an award from the third party driver arrives, the workers’ compensation insurer can be repaid from its proceeds. When one takes attorney’s fees and other expenses into account, it can be very confusing to determine just how much your recovery will be if you receive both workers’ compensation and a third-party claim award. There is a formula, referred to as the Manfredo Formula, but given there are many other potential intangible factors that must be considered, the formula is only a starting point, rather than an end point. The best option is always to talk to a legal professional before going forward. It can seem confusing when a third party plays a role in causing your on-the-job injury, and in many cases, the numbers and dates and paperwork can add up. Enlisting an Orlando workers’ compensation lawyer can help you get the time you need to focus on recovery, rather than being snowed under trying to get the compensation you need. Contact the Hornsby Law Group today to schedule an initial consultation.